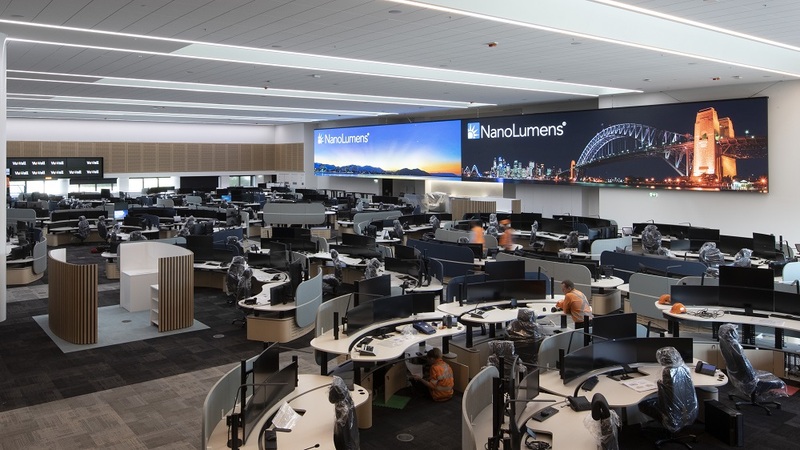 The new Sydney Trains Rail Operations Centre features what’s believed to be the world’s largest command and control LED display, according to NanoLumens. Measuring 32m x 3.6m and containing 41 million pixels it’s a sight to behold the new Sydney Trains Rail Operations Centre (ROC),which is nearing completion. 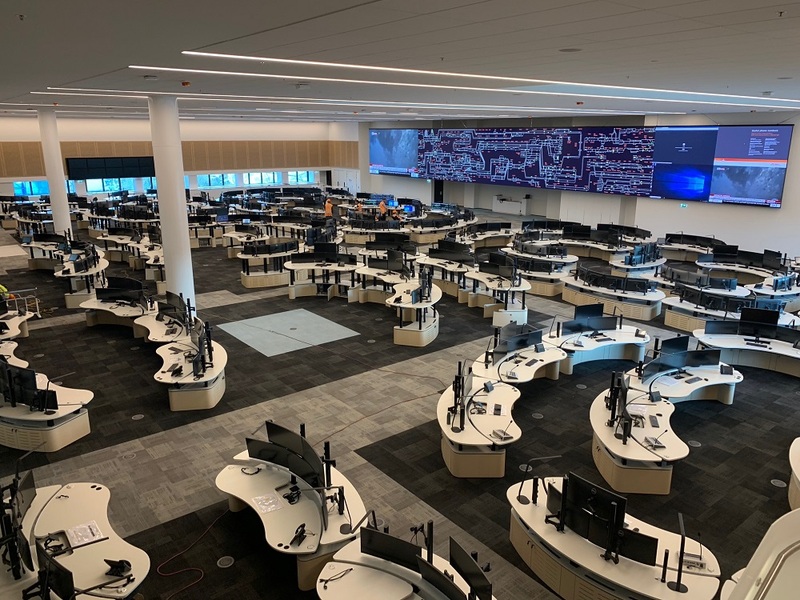 The command and control LED display in the central control room is believed to be the world’s largest, according to a NanoLumens press release. The display was designed, engineered and installed by NanoLumens, from a commission by Australian integration firm Critical Room Solutions and technology consultant Digital Place Solutions (DPS). The NanoLumens 1.6mm Performance Series LED display also boasts the largest number of processors ever installed in an LED display. 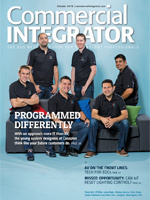 Critical Room Solutions (CRS), a specialist in command and control room installations, and long-time NanoLumens technology consultant in Australia Digital Place Solutions (DPS), commenced discussions with Sydney Trains in 2017 to determine the perfect display solution to allow the new control centre staff to effectively monitor all 178 stations on the Sydney Trains rail network, according to NanoLumens. 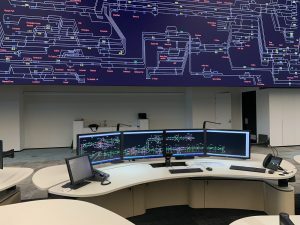 “Sydney Trains was initially looking at a cube wall for this installation because that is what they used in prior control centres,” says John Kimenkowski, Technical Supervisor at CRS. 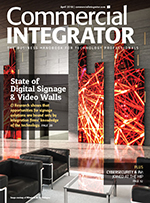 “We presented the option of LED display technology for several reasons and, once we made that pitch, NanoLumens quickly became the solutions provider of choice. From initial inception, concept proof and demonstration, to manufacture and installation, the process has been relatively short at just over 12 months. The super fine resolution design provides an entire display resolution of 19,200 pixels wide by 2,160 pixels high, equivalent to 20 windows of native Full HD resolution or 5 windows of 4K resolution, all without the need for scaling, according to NanoLumens. The NanoLumens display blends perfectly with the new centre’s futuristic interior design, and is integral in enabling Sydney Trains’ expert train controllers to monitor the entire rail system, controlling the trains, tunnels and platforms to deliver a safe and reliable journey. According to Tony Eid, Sydney Trains Executive Director, “Our new Rail Operations Centre is more than bricks and mortar, it’s a symbol about how we operate trains and provide real time customer information to improve the customer experience. “The NanoLumens wall, which is what this display really is, is central to the main operations of this command and control centre for the entire rail network,” said DPS Co-Founder Gerry Thorley. The consolidation from six different locations that were being utilized to monitor Sydney Trains’ entire operation to one central location at the ROC will drastically change the way the rail system manages day-to-day operations. And at the heart of it all is one extremely large NanoLumens display that provides critical information clearly, quickly and effectively. 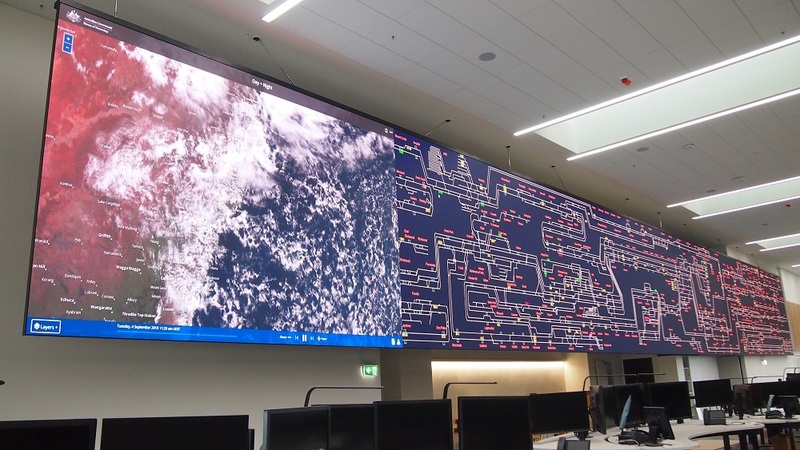 “The Operational Visual Display Screen (OVDS) plays a key role in providing the control centre real-time information to make informed decisions with train operations, incident and customer management,” Eid continued. 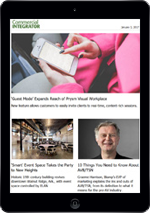 “NanoLumens LED displays are already being used in a number of military command and control centers around the world,” says NanoLumens CEO Rick Cope.